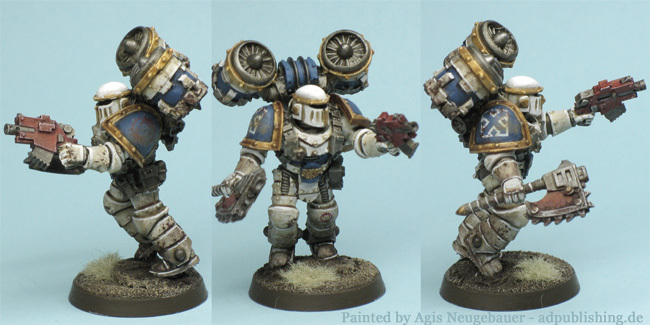 The World Eaters, originally known as the War Hounds, were the XII Legion of the original twenty Space Marine Legions, created by the Emperor at the dawn of the Imperium. 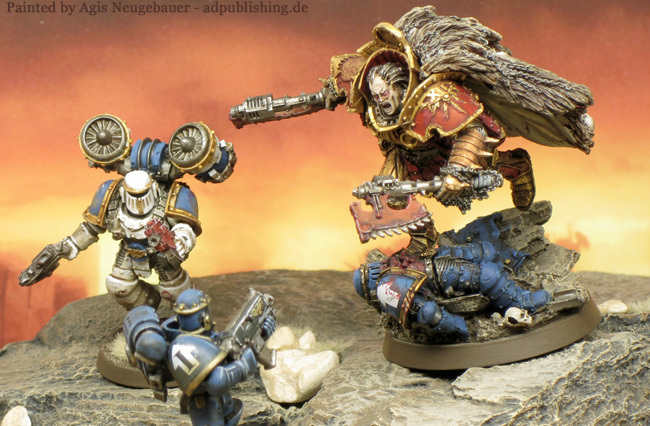 They were among the first Legions to turn to Chaos in the Horus Heresy. 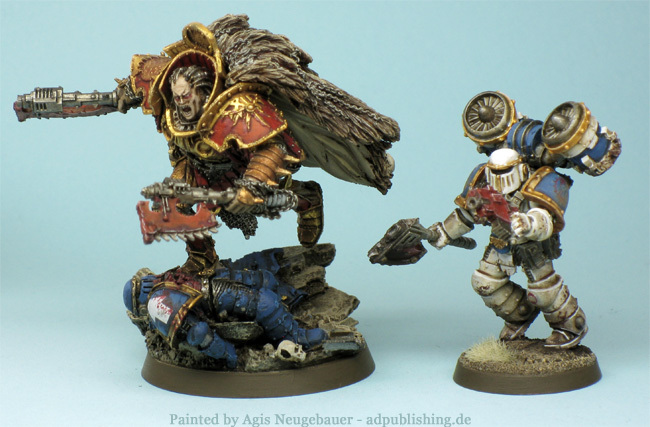 As with most Chaos Legions I only started to like them while reading the Horus Heresy Novels. 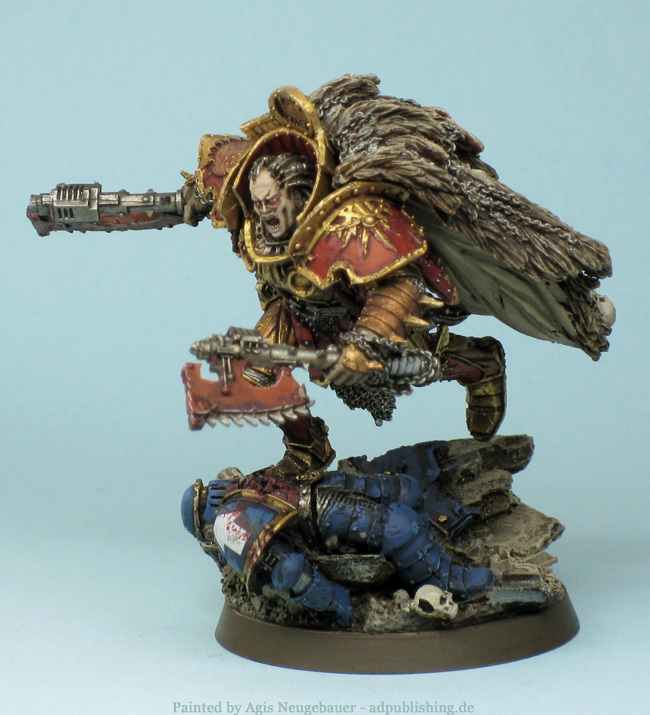 The brutes of 40K are not my thing, the savage but noble warriors of 30K who followed their hyper- aggressive Primarch Angron no matter what are more to my liking. The awesome Forge World model of Angron tempted me even more. For Angron I tried a look of a truly aggressive warrior who did not care at all about his armour or appearance. So old school metal effects, some rust and a slightly dirty look. The Assault Marine is a FW MkII model with an axe from Anvil Industries, I simply like their axes more.